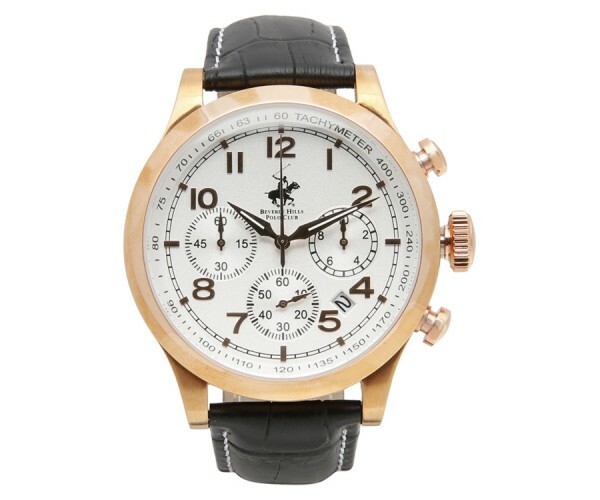 Keep up with time stylishly wearing this black leather analog wrist watch for men that is from the house of beverly hills polo club. Crafted from a premium quality material, this watch is long lasting and skin friendly too. This wrist watch is water resistant and will surely retain its rich quality for years to come.